exactly how fertile the area is. 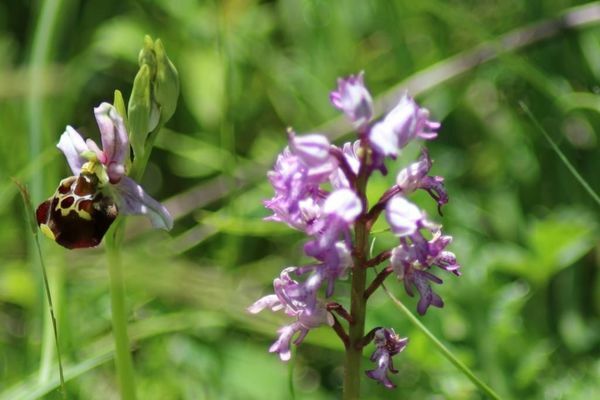 The area is home to no fewer than 40 different species of orchid! The most legendary and delicate of all is the Lady’s Slipper, with its yellow calyx and carmine red petals. that when it comes to pollinating, disguises itself in order to attract insects. Numerous species of plants and flowers grow by the side of the roads throughout the region - and their beauty cannot be disputed. and unusual ferns such as the green spleenwort and the Robert fern that suddenly grow or open up right in front of you. There is no review about Flore Sauvage Et Orchidees De Haute-Marne, be the first to leave one !